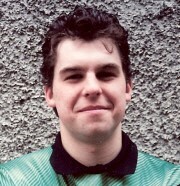 Following Jim Platt’s resignation, another former international goalkeeper quickly emerged as the favourite to succeed him. 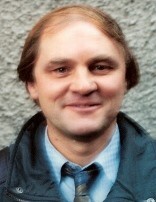 William ‘Iam’ McFaul was a native of Coleraine, who had started his career with the club during the 1960’s, but after finding his path to regular football blocked by the form of Victor Hunter, chose to join Linfield. 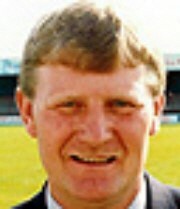 From there he went on to Newcastle United, where he played for many years and after his retirement he joined the coaching staff and served as manager between 1985 and 1988. However, the new era at The Showgrounds would begin without Ray McCoy. The Cookstown-based forward had been with Coleraine since the early 80’s but during the summer of 1990 briefly moved to New Zealand and when he returned to Northern Ireland, he made it clear that he wanted a fresh start at a new club, eventually joining Glenavon in November. Despite the loss of McCoy, McFaul’s reign got off to a promising start in the Ulster Cup. Despite an opening loss to Glentoran, in a game which saw the debut of Paul Gaston, Coleraine reached the semi-finals, before suffering a heavy defeat at the hands of Glenavon. Although they didn’t make it out of their Gold Cup group, the league season began in September with RickyWade sealing a 1-0 success against Larne. However, things soon took a turn for the worse as only two further points were picked up before the New Year from draws against Cliftonville and Ballyclare. Things hardly improved once the club entered 1991, with a humiliating exit from the League Cup at the hands of Queen’s University and a string of defeats in the league ensuring Coleraine finished bottom of the table with just 11 points from 16 matches. 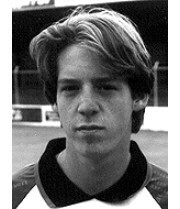 Long-serving defender Marty Tabb departed from The Showgrounds in the summer, but in a surprising turn of events another star of the 1980’s returned to Coleraine. 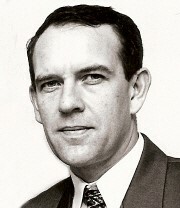 Felix Healy was signed as a player/coach as McFaul attempted to turn around his side’s fortunes. But despite the return of Healy, McFaul’s side continued to flounder in the league table. In December, after a drawn-out transfer wrangle Ricky Wade left to join Linfield for £20,000, with Alan Campbell going the other way. Young goalkeeper Davy O’Hare had signed for Coleraine from the University of Ulster side during the summer and made his debut during November and would go on to make the number one jersey his own in the next few seasons. The struggles continued into 1992 and reached their nadir with an Irish Cup exit at the hands of B Division side Dungannon Swifts at The Showgrounds. 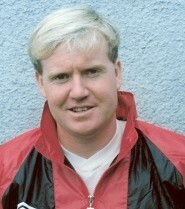 McFaul resigned after the game and Healy stepped in as caretaker manager. He led the team to three wins and a draw before work commitments forced him to relinquish the job and Victor Hunter took charge for the remainder of the season, guiding the team to 13th in the league table and a North West Cup final win against Park. 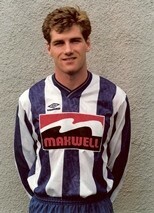 The manager’s post was the source of much speculation during the summer of 1992. First Harry Gregg rejected an invitation to take over and then former Northern Ireland defender John O’Neill was thought to be the favourite. In the end, the post went to Colin O’Neill a three times capped international midfielder, who had recently called time on his playing career due to a knee injury. O’Neill pledged to bring the good times back to The Showgrounds and with his extensive knowledge of Scottish football, brought in a number of players from there, including Derek Cook, Alan Ewing and Stuart McLean. 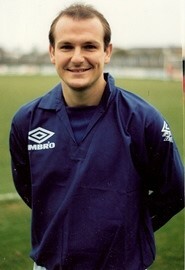 He also enticed former Manchester United and Northern Ireland star David McCreery to the club on a short-term contract. However, Felix Healy dropped a bombshell on the eve of the new season, by announcing his retirement from the game with immediate effect. Decidedly mixed results in the cup competitions were followed by a poor start to the league campaign and following a 4-1 defeat by Larne and allegations about his private life in a Sunday newspaper, O’Neill resigned. Despite having the backing of the board, he said it was in the best interests of both himself and the club that he relinquished the position. David Keery took charge on a temporary basis, being assisted by club stalwarts Victor Hunter, Tony Curley and Raymond Starrett, while the board looked for a successor a search that ended in November with the appointment of former Cliftonville boss Billy Sinclair. Sinclair’s arrival didn’t bring about any discernable improvement in results; it took seven games for his first win to arrive, two Derek Cook goals bringing victory over Glenavon at the start of January. Despite a number of new signings, wins were hard to come by in the league, although Coleraine made it to the League Cup final, before being soundly defeated by Bangor. Another miserable season ended with Coleraine 15th in the table. Improvement over the next two seasons would be necessary because at the end of the 1992/93 season, clubs voted to split the Irish League into two divisions of eight teams with promotion and relegation introduced for the first time in the history of local football. League positions over the following two seasons would decide the makeup of the eight-team Premier Division to be introduced in 1995/96. 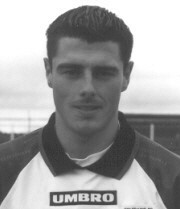 Sinclair brought in more Scottish players during the summer of 1993, chief among them striker Mark McWalter, but one win in the first nine matches of the season saw the supporters express their discontent with the direction the team was heading. Sinclair resigned in October after a Board meeting where he made it clear he wouldn’t continue as manager without a contract and the Board made it clear they weren’t prepared to give him one. 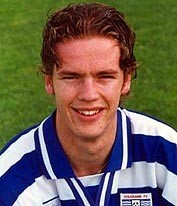 To replace Sinclair, Coleraine turned to a familiar face. 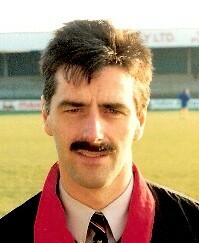 Just over a year after he had ended his association with the club and retired from football, Felix Healy returned to The Showgrounds in the manager’s chair. 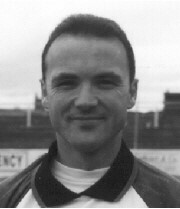 He quickly set about improving the squad, breaking the club transfer record twice in the space of a few days when he signed Trevor McMullan and Paul Carlyle, while he surprised a few by moving forward Paul Gaston to the heart of the defence. 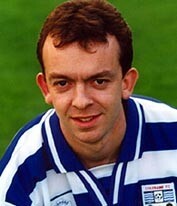 It turned out to be masterstroke as Gaston, who had looked to be on his way out of Coleraine under Sinclair, formed an imposing partnership with Stuart McLean. After a sticky patch, results began to pick up, with the undoubted highlight being a 5-2 home victory over Ballymena United in the festive derby, but a poor run at the end of the season saw Coleraine end up in tenth position. As they had done the previous season, they put together a strong run in the League Cup, Derek Cook scoring in every round up to the final, which ended in a disappointing 2-0 defeat to Linfield. 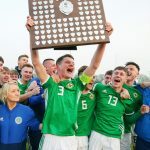 Hope for a better future came from the success of the Colts side in winning the IFA Youth Cup earlier in the season and a number of that side, including Tommy McCallion and Davy Patton, made their first team breakthrough under Healy. With the pressure on to secure a high league finish and ensure participation in the new Premier Division the following season, Healy carried out extensive rebuilding during the summer. In came lifelong Coleraine fan Geoff Ferris from Glenavon, Gary Beckett and Eamon Doherty from Omagh, Dundee left back Stevie Campbell, Tony Gorman from Portadown and Ricky Wade, returning after an unhappy spell at Linfield. Healy’s new look side started the season strongly, playing some great football but a failure to kill teams off hindered their progress. Twice in successive weeks Coleraine led 3-1 against Crusaders and Carrick, but ended up drawing 3-3. There were good wins over Glenavon, Ards and Portadown while Coleraine were unlucky not to take all three points from a pulsating encounter at The Oval. It seemed Healy was building a team capable of climbing up to the higher reaches of the table, but despite committing himself to Coleraine, speculation continually linked Healy to the Derry City post, vacant after the resignation of Tony O’Doherty. Then at the start of December, Healy informed a shocked Coleraine board of his intention to resign and join Derry. Team captain Stuart McLean admitted he felt ‘shocked and let down’ by Healy’s decision, but Coleraine had to soldier on, with Tony Curley once again taking temporary charge of team affairs. He led the team to a win over Linfield and a defeat against Distillery before the new manager arrived in time for the Boxing Day showdown with Ballymena United. 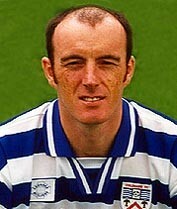 Healy’s successor was the manager of Carrick Rangers, and lifelong Coleraine fan, Kenny Shiels. He had won the County Antrim Shield as manager of Carrick and now stated his intention was to bring success to Coleraine ‘with discipline, fitness and attractive football’. 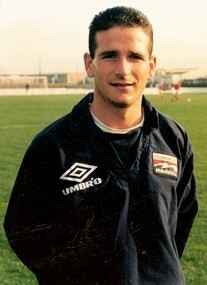 His reign started off with two draws before goals from Ewing and McWalter gave him his first win at Larne. However he had to contend with Felix Healy attempting to rebuild Derry City with players from his old club. Paul Carlyle and Paul Kinnaird followed Healy to the Brandywell within weeks of his installation there, while Shiels went shopping for reinforcements himself. In his first few months he brought in Tommy Huston, Stephen Young, Brian Robson and Oliver McAuley, the last two from his former club Carrick, while Derek Cook found himself frozen out and eventually joined Glentoran. As the season neared its conclusion, it became clear that Coleraine’s fight for a place in the top flight would go down to the wire. Coleraine headed into their final day showdown against Ballymena United knowing that a win would ensure they stayed up, but if they couldn’t beat their arch-rivals, who were already down, things would get complicated. 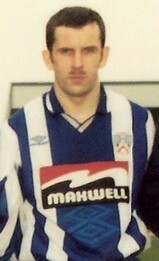 The last place in the Premier Division would go to Coleraine or Bangor, but for the Seasiders to stay up, they needed their last day opponents, Ards to finish ahead of Shiels’ men in the 1994/95 league table which would put Coleraine down a position in the overall ranking of the last two seasons. So effectively, Bangor needed to lose to stay up, which they duly did. Meanwhile at The Showgrounds, Coleraine pushed desperately for the goal which would preserve their top flight status. In a late onslaught, twice they had shots cleared off the line, but to no avail. A win would have seen Coleraine finish the season in third place and safe in the new top flight, but the draw meant that despite winning more points over the course of two seasons than Bangor, they would be starting next season in the First Division. Relegation saw more major rebuilding take place over the summer. The Scottish contingent all left, Campbell heading back to Scotland, McLean and Ewing ending up at Linfield and, most controversially, fans’ favourite McWalter was sold to Ballymena, after Shiels had branded him a ‘disruptive influence’. Meanwhile Shiels once again had to deal with Derry City expressing an interest in a number of his star players. When the season got underway, poor performances in the Ulster Cup and Gold Cup didn’t bode well for Coleraine and after a 1-0 defeat by Ballyclare at the start of the First Division campaign, Shiels was sacked by the Board. What followed was an extraordinary turn of events where the players threatened to strike if the manager was not reinstated, so two days after his dismissal, Shiels returned. After that drama, Coleraine never looked back. The arrivals of the manager’s brother Sammy Shiels, former Cliftonville midfield general Pat McAllister (for a club record fee) and Dubliner Greg O’Dowd transformed the side which had struggled in the early season cups, as they simply tore apart the rest of the First Division. Over the next few weeks Newry Town were defeated 8-0 and 4-1, Omagh hammered 5-2, Carrick put to the sword 3-0 and 6-0. There was also a memorable derby against Ballymena on New Year’s Day, which Coleraine won 2-1 with a late winner from Sammy Shiels, as they raced away with the league leaving all others trailing in their wake. The 1995/96 season saw the introduction of the Irish News Cup, a cross-border competition for clubs in the North West of Ireland. The draw for the semi-finals pitted Coleraine against Derry City, in what would be the side’s first competitive meeting since Derry dropped out of the Irish League in 1972. As if the game needed any more significance, the tension between the two clubs after Healy’s defection ensured the game would be a real event. Coleraine travelled to the Brandywell for the first time in 23 years backed by a large support, who witnessed a superb match and a great victory for Coleraine with two goals from Shiels. A Paul Carlyle own goal decided the second leg and saw Coleraine advance to the final, played over two legs against Omagh, which the Bannsiders won 12-2 on aggregate. Meanwhile, the quest for promotion continued with Coleraine, now bolstered by the signing of David McCallan from Bangor, continuing to steamroller their opposition. 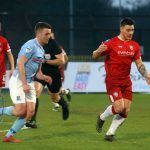 Although Newry knocked them out of the Irish Cup at the first hurdle, revenge came in the shape of a 5-0 league win at The Showgrounds, followed by a 5-2 win at Carrick. The title and promotion were wrapped up with a 4-0 win over Ballymena at the start of March, with a quarter of the league programme still to play. 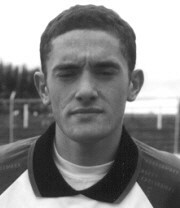 Sammy Shiels top-scored with 29 goals, including five hat-tricks, although Tony Gorman was not far behind him with a personal best 25 goals. 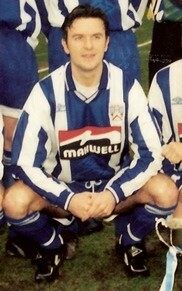 All-in-all it was a remarkable season and Coleraine could once again look forward to top flight football in 1996/97. Added to the First Division title winning side in the summer of 1996 were three new arrivals from Sligo Rovers, left back Robbie Brunton, centre back Brendan Aspinall and midfielder Andy Ramage. 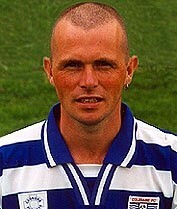 But Coleraine lost Tony Gorman to Linfield and goalkeeper and Captain Davy O’Hare was ruled out after a hernia operation. Facing the prospect of starting the season with only rookie ‘keeper Eamon Canning available, Shiels swooped for former Linfield ‘keeper Wes Lamont, who had been surprisingly let go by the Windsor Park club. Coleraine opened the new season in fine form, winning their first seven matches in all competitions. Several of these were in the Ulster Cup, Newry being defeated over two legs before wins over Glenavon and Glentoran put Coleraine into the final against Roy Walker’s Crusaders. The Windsor Park decider ended 1-1, new captain McAllister scoring for Coleraine, and had to be decided on penalties. McAllister missed in the shootout, but Brunton, Aspinall, Shiels and Gaston hit the target. Crusaders scored three of their first four and when goalkeeper Kevin McKeown missed, it meant the Ulster Cup was heading back to Coleraine for the first time in ten years. This success provided the platform for an impressive start to life in the Premier Division as Coleraine won seven of their first eight games, to sit proudly at the top of the table. Highlight of the early rounds was undoubtedly a 3-2 win at Windsor Park. Two goals in front through McCallan and O’Dowd, Coleraine were stunned as the Blues levelled matters with just nine minutes to play, before captain fantastic McAllister headed the winner. However, following a 4-1 win at Ards in late November, Coleraine’s form dipped and it would be the middle of February before they next tasted league success. 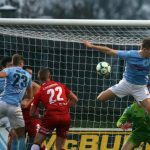 They were still top and underlined their position with wins against Portadown, nearest challengers Crusaders and Linfield, but the unstoppable momentum of the early part of the season was gone. While Coleraine wobbled in the league, they still looked on course to challenge for the league and cup double, particularly after an impressive win over Linfield in the fifth round of the Irish Cup. 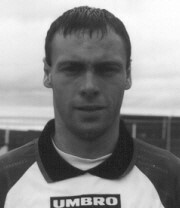 Neighbours Portstewart were defeated after a replay in the following round, on-loan English striker Danny Shipp scoring the only goal, before a fateful tie against B Division side Loughgall. Brunton earned Coleraine a replay after a 1-1 draw at Lakeview Park and, with home advantage, Coleraine were strong favourites to progress to the semi-finals for the first time since 1990. But the underdogs pulled off one of the biggest cup shocks of the decade, dumping a near full-strength Coleraine side out of the cup with 1-0 win. Things were beginning to unravel in the league now as Coleraine again found Crusaders eating away at their lead in the table. With five games to go, a defeat at The Oval saw Coleraine knocked off the top of the table for the first time all season and a draw against Glenavon and defeat by Portadown meant that they would have to beat Crusaders at Seaview in the penultimate game to stand any chance of lifting the Gibson Cup. Coleraine dug deep and almost did enough to take the title race down to the final day, but the 0-0 draw saw the Hatchetmen crowned champions for the second time in three seasons and Coleraine’s only consolation was that they had booked a return to Europe for the first time in a decade. That return to Europe saw Coleraine take on Swiss outfit Grasshoppers Zurich in July and it was a harsh learning curve, with a 3-0 defeat in Switzerland and a 7-1 hammering at home, on a night where nothing went right for the Bannsiders, including two players scoring own goals. Eamon Doherty left the club to join Felix Healy at Derry, but coming the other way was Tommy McCallion, who left his hometown club for a second spell at The Showgrounds. 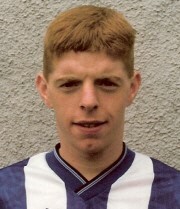 Danny Shipp signed on a permanent deal that summer, while young defender Stewart Clanachan, who had made his debut back in the First Division season, became a regular member of the first team squad. Hopes were high that Coleraine could go one better and atone for the previous season’s disappointment, but three consecutive 1-0 defeats at the start of the league campaign left them playing catch-up from the very beginning. A 5-1 win over Cliftonville on the night the club celebrated their 70th anniversary was more like it, but the team continued to display inconsistent form in the league. A run to the Gold Cup final, beating Cliftonville in the quarter-finals and Omagh in the semis was a sign of some promise, but a 4-2 defeat by Glenavon ended the dream of silverware on that front. English striker Simon Yeo arrived after a brief spell at Ards and Shiels brought in Ayr due Stevie Kerrigan and Willie Jamieson in an attempt to turn around his side’s flagging fortunes. November saw an infamous game against Linfield which was abandoned with Coleraine leading 1-0 after Linfield supporters had reacted angrily to red cards for two of their players by throwing missiles onto the pitch. On the pitch, the team’s fortunes didn’t improve much in the second half of the campaign. An Irish Cup defeat by Glentoran, a League Cup exit at the hands of Ballymena and a 14-match winless run in the league, only ended by a win over Omagh on the last day, saw Coleraine finish seventh. A number of players left Coleraine following that disappointing season, including McCallion, Yeo and Johnny McIvor. In came veteran defender Alfie Stewart, a long-time target for Shiels, Glentoran left back Michael Smyth, Scottish striker Isaac English and former Cliftonville forward Paul Stokes. When the season kicked off with two straight victories, hopes were high for another strong season, but Coleraine were soon brought back down to earth by defeats at the hands of Glenavon, Glentoran and Linfield and the usual inconsistency soon set in. Positives came from a couple of derby wins over Ballymena and Omagh, but with Pat McAllister sidelined until the New Year, the team missed his talismanic presence. There was an extraordinary game at The Oval on October 31, where Coleraine led 4-1 through a Stokes hat-trick and one from English, but found themselves reduced to nine men and conceded four goals in the last 15 minutes to lose 5-4, a real Hallowe’en nightmare. The New Year saw Shiels sign Ballyclare winger Mark Picking, but there wasn’t any real improvement in the side’s fortunes and they ended up seventh again, although this time only four points above the relegation play-off place. Big name signings were plentiful at The Showgrounds during the summer of 1999. 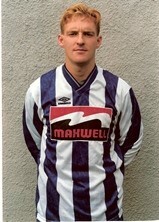 First up was Dessie Loughery, for so long the scourge of Coleraine in derby games. Then even more surprisingly, John Devine, just voted Footballer of the Year after leading Glentoran to the title, swapped East Belfast for Coleraine. Also coming in were Glenavon winger Kevin Keegan, well-travelled midfielder Marty McCann and English forward Carl Chillingsworth. Michael McHugh, a long-term target for Shiels, signed on loan from Derry City. Wes Lamont was ruled out of the start of the campaign after an injury during pre-season and after a run of one win from the opening seven games, Shiels brought in former Crusaders ‘keeper, Kevin McKeown, to help solve his side’s defensive woes, but to no avail as following elimination from the Gold Cup by Limavady and a home defeat by Linfield, Shiels resigned, bringing his tumultuous reign to an end. One man quickly emerged as the clear favourite to replace Shiels. 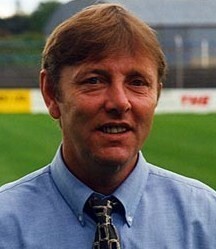 Marty Quinn had masterminded Cliftonville’s astonishing title success in 1998 and had brought several other pieces of silverware to Solitude during a successful spell in charge there. While the club negotiated with Quinn, Tony Curley took charge once again, assisted by Wes Lamont and they guided the team to a 3-1 win over Crusaders and a draw against Ballymena before Quinn officially took over. Quinn’s reign got off to the best possible start, as John Devine’s winner gave Coleraine victory over Glenavon at Mourneview Park. Then in his first home game, Portadown were beaten 6-3 and Coleraine continued to climb the table with four more wins in that run, until a draw at Ballymena after Christmas brought that to an end. A loss of form in January coincided with McHugh returning to Derry after his loan ended, but Quinn eventually got his man and he returned to the team in March, with the two goals which beat Lisburn Distillery in a league game. While climbing the table, Coleraine were also making progress in two of the cup competitions. There were goals galore in the early rounds of the Irish Cup; a 7-0 win over Comber Rec was followed by a 3-3 draw at Bangor and an 8-3 victory in the replay. The quarter-final against Ballymena was an altogether closer affair and Coleraine booked their first semi-final appearance for ten years thanks to a John Devine free kick. The Coca Cola League Cup run was no less dramatic, starting off with a 3-1 win over Glenavon before a highly controversial tie against Lisburn Distillery. At the end of 90 minutes at New Grosvenor, the sides were level at 2-2 yet instead of playing extra time, referee Alan Snoddy ushered the teams off the pitch. The result was declared void and in the replayed game, Chillingsworth’s goal put Coleraine through. He struck again in the semi-final, along with Mark Picking, to put Portadown to the sword and book Coleraine’s spot in the final against Linfield. Coleraine defeated Linfield 2-1 at The Showgrounds to keep up their push for European qualification through the league, but saw their dreams of cup glory die with a replay defeat against Portadown in the Irish Cup and a 4-0 humbling by the Blues in the final of the Coca Cola Cup. A draw at Glenavon and defeat at Glentoran meant Coleraine’s challenge for UEFA Cup spot would go right down to the wire, but they picked themselves up in fine style, gaining revenge for the cup defeat on Portadown with a 4-0 home win, which left them in pole position for second place going into the final game. A win was required at Newry and it was duly achieved, with teenage forward Russell Kerr’s only goal of the game seeing Coleraine into Europe ahead of Glenavon, by virtue of one goal in goal difference. Although he had been unable to win any trophies during his first few months in charge, Quinn could surely reflect on a job well done and look forward to a positive future.